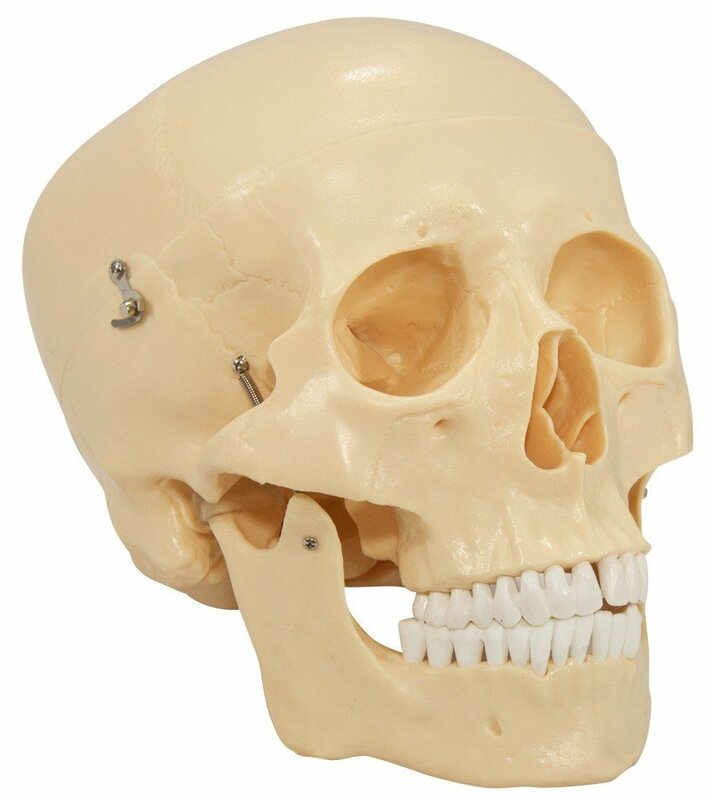 This popular and economical life-size adult plastic skull is ideal for students and anyone who is interested in the structure of the skull. The skull shows suture lines, foramen and features a movable spring mounted jaw, cut calvarium and 3 removable lower teeth - incisor, cuspid and molar. Size: 6" x 7" x 8"